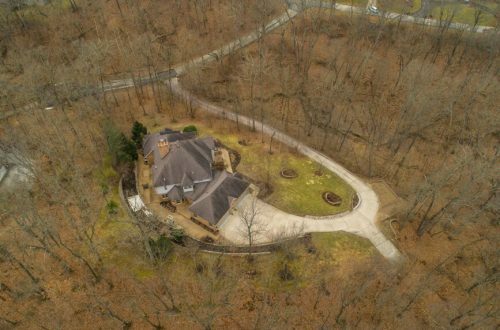 Live like you are in The Hamptons on this 4.28 acre estate in Ladue. Quietly nestled at the end of a prestigious lane is this beautifully crafted shingled home. The home blends formal & casual living seamlessly for today’s lifestyle. Gracious foyer with a sweeping staircase. 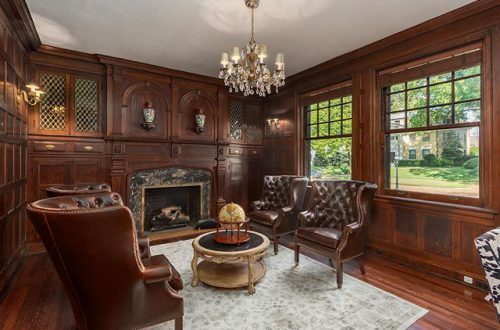 The grand living room is adorned with custom wood paneling, fireplace & bay window. Elegant dining room perfect for entertaining. The kitchen has recently been refreshed and features Wolf gas stove, dual ovens, butler’s pantry, bar & center island. The kitchen opens to a family room with fireplace, built-ins & breakfast room. Hearth room with vaulted ceiling, stone fireplace & and door that leads to a terrace. 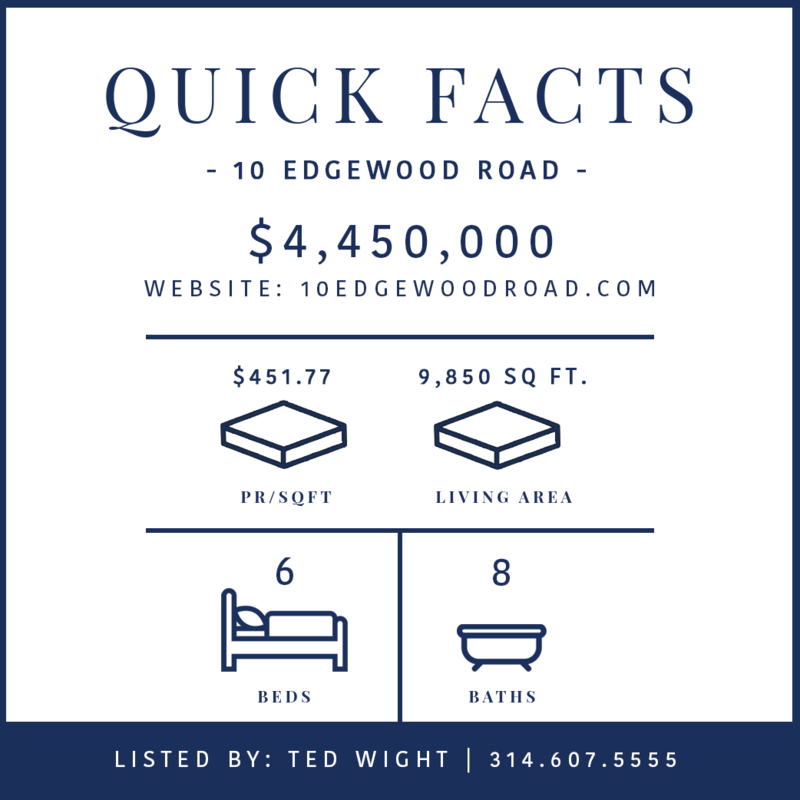 The master bedroom suite has a fireplace, office, luxurious bathroom & 26’ walk-in closet. 5 car garage. Main floor mudroom and laundry & 2nd floor laundry. Finished lower level. Guest house with 2 bedrooms, full bath, kitchen, family room & 2-car garage. Large pool and pool house with full bath & fireplace.